POLICE further stepped up security measures in the city at the start of week-long festivities ahead of the Chinese New Year. City police director Senior Supt. Nelson Aganon ordered his subordinates to make sure that all Chinese New Yearelated activities in the city are secured. One of the places that where police security is expected to be tight is the Bell Church in Macasandig where a celebration would be held tonight, according to Supt. Mardy Hortillosa, spokesman of the Cagayan de Oro City Police Office. Hortillosa said Aganon said the place would be “sanitized” by police officers who would use highly trained bomb-sniffing dogs while they stand on guard. The same thing, he said, would be done in other places where Chinese New Yearelated activities are scheduled. While police secure these places, Hortillosa said, other police units would be keeping an eye on other places of worship, malls, markets, terminals, the port area, and other crowded places. He said the police would also be protecting vital public installations, especially power, water and telecommunications faciltities. “Ang mando sa atong city [police] director nga kon asa ang mga areas nga na-a ang daghang mga tawo, didto ipa-concentrate pagbantay ang atong mga pulis,” said Hortillosa, adding that what Cocpo is trying to prevent is a repeat of the bomb attacks in Jolo, Sulu and Zamboanga. The “no backpack” policy, he said, would continue but he clarified that the police cannot really impose it in that it is not a law. “Wala man tay bala-od, mao nga hangyo ra ning ato. 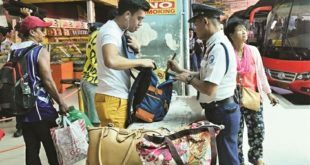 Pero kon dili gyud malikayan nga na-ay magdala sa backpack, unya mosulod sa mga simbahan, amo gyud sila nga sitahon ug among tan-awon ang sulod,” Hortillosa said. While those who refuse to show the contents of their bags cannot be arrested, police officers would follow and keep an eye on them, Hortillosa said. Adelfa Sia, former president of the Misamis Oriental Chinese Chamber of Commerce and Industry, said the Chinese New Yearelated activities have been coordinated with the City Tourism Office. A major activity is the Chinese New Year’s Eve celebration at Bell Church where prayers would be said and candles would be lit. A fireworks display at the Bell Church would be held to be followed by the distribution of noodle threads and eggs, Chinese symbols of long life, harmomy and happiness. Pre-Chinese New Year activities started in the city over the weekend. On Saturday, Mayor Oscar Moreno and other local officials, a Chinese-Filipino business leaders graced the “Symphony of Lights” at city hall following colorful Dragon Dance performances by students from Chinese Filipino schools in the city. Speaking during the activity, Mayor Moreno said the Chinese have contributed much to the city’s and nation’s culture and economy. 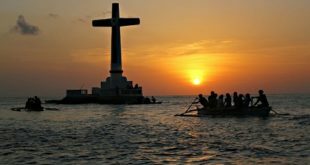 “Sa wala pa ang Spaniards dinhi sa Pilipinas, na-a nay mga Chinese. 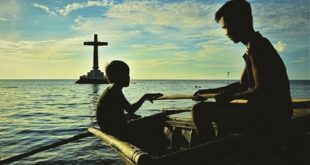 Tungod niana, part na sila sa atong history labi na kay daghan sa ilang kultura ug economic aspect nga atong natun-an gikan kanila,” he said. At 8 am tomorrow, Chinese New Year’s Day, there will be a motorcade starting from the rotunda, Velez St., Recto Ave., Limketkai Center and back to rotunda up to the Bell Church in Macasandig. The activity is being organized by the City Tourism Office and a local Chinese-Filipino group. Nian gao or “tikoy” would be distributed at Bell Church at around 11 am tomorrow. 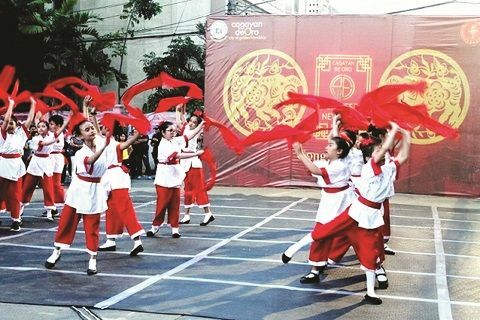 Over the weekend, pre-Chinese New Year’s Day activities included a cosplay competition at Limkekai Center, Chinese cultural dance performances, and the Spring Festival Dragon Boat Race.